Around 2010, I made a conscious choice to reposition my business away from being a local marketing consultant in Boston, where I then lived, in order to try to develop a more national/international platform. In many ways, that’s made me busier, with a lot more travel. But I consider it a long-term investment. Even though my client work was lucrative, there’s a cap on how much you can make as a hands-on marketing consultant trading time for dollars. 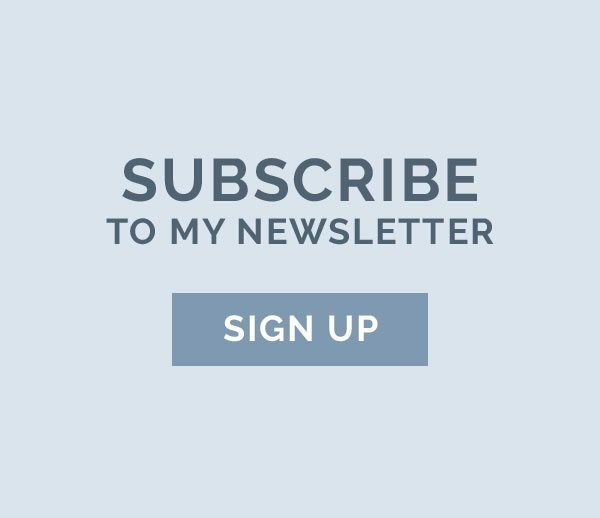 My goal is to create a business in which I’m able to charge a much higher rate overall, because of having greater national visibility, and to develop streams of passive income (such as online courses) that will continue to come in, regardless of what I’m doing in the moment. I went to a conference once where I heard Suzy Welch speak, and she had a good line: “You can have it all, just not all at once.” I think it’s unrealistic to max out in every area of your life simultaneously–there’s just not time for everything. But if you’re able to prioritize certain elements of your life during certain periods, you can make everything work over time. I’m single now, and literally, in the last month, three of my exes have either gotten engaged, gotten married, or are imminently going to get married. I feel like I’m good at prioritizing relationships when I’m in one, but clearly they haven’t stuck…and it’s hard to will myself to “get out there” and meet new people when the process is often frustrating and less gratifying, at least in the moment, than work projects that I know need to be accomplished. I often bring my mom on business trips with me, and that’s been really great. She gets to travel to places she’s never been before (I’ve taken her everywhere from Paris to Kazakhstan), and we get to spend quality time together. I use a great paid online scheduling tool called ScheduleOnce to set appointments. It’s awesome because it saves the constant back-and-forth around finding a meeting time that works. You set up the times on your calendar when you’re available, and then people pick from them–it’s simple and I love it. It probably saves me a couple of hours per week of scheduling mishegas. Also, I always prioritize sleep over everything else. Always. I would rather sleep than socialize, work out, work, or do just about anything else. Sleep enables everything else. I would read, which is often what I do, anyway. 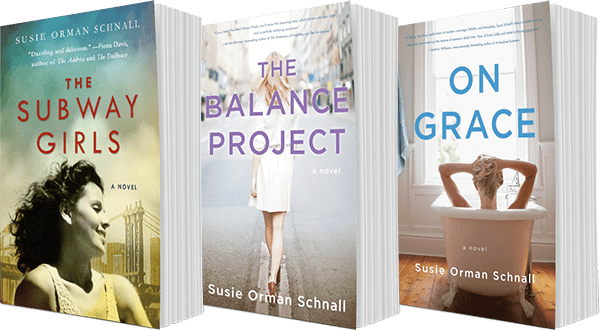 I read at least 1-2 hours per day–it’s how I relax and unwind. I love The New York Times, which I read every day, and The New Yorker, as well as business magazines like Wired, Fast Company, Inc., etc. The fact that you shouldn’t brush right after meals. Medical wisdom gets overturned all the time, but this one makes me furious, because it was drilled into us as kids and they were totally wrong. I’d like to know 1) how to make seven figures a year, primarily through passive income; and 2) how to have a happy and long-lasting marriage. Cooking. I don’t really like cooking, so living in NYC is amazing! I can get healthy meals every day at less than the cost of producing them myself. My favorites are Chipotle and Dig Inn, which has affordable, locally-sourced, vegetable-heavy meals. I’d like to be the next president of Smith College. Corporate attorneys seem disproportionately miserable. Never Eat Alone by Keith Ferrazzi and Influence by Robert B. Cialdini. Back issues of The New Yorker, which I got behind on when my new book Stand Out launched. Activity? Cracking my knuckles (maybe a little too much stress in my life?!?). Website? Like most narcissistic authors, I check my Amazon rankings. 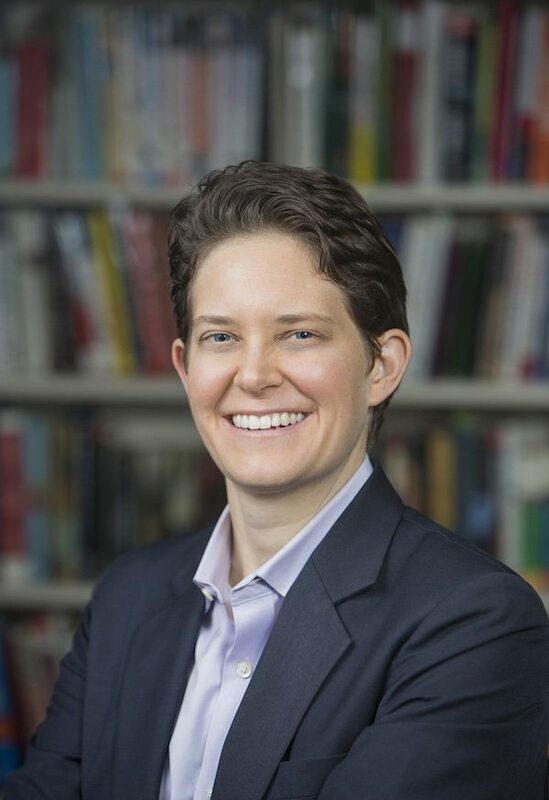 Dorie Clark is an Adjunct Professor of Business Administration at Duke University’s Fuqua School of Business and the author of Reinventing You (Harvard Business Review Press, 2013) and Stand Out (Portfolio/Penguin, 2015), as well as the e-book Stand Out Networking. A former presidential campaign spokeswoman, she is a frequent contributor to the Harvard Business Review, Forbes, and Entrepreneur. 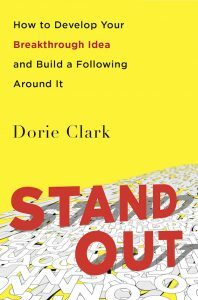 Recognized as a “branding expert” by the Associated Press, Inc., and Fortune, Clark is a marketing strategy consultant and speaker for clients including Google, Microsoft, Yale University, Fidelity, and the World Bank.